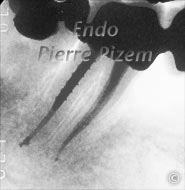 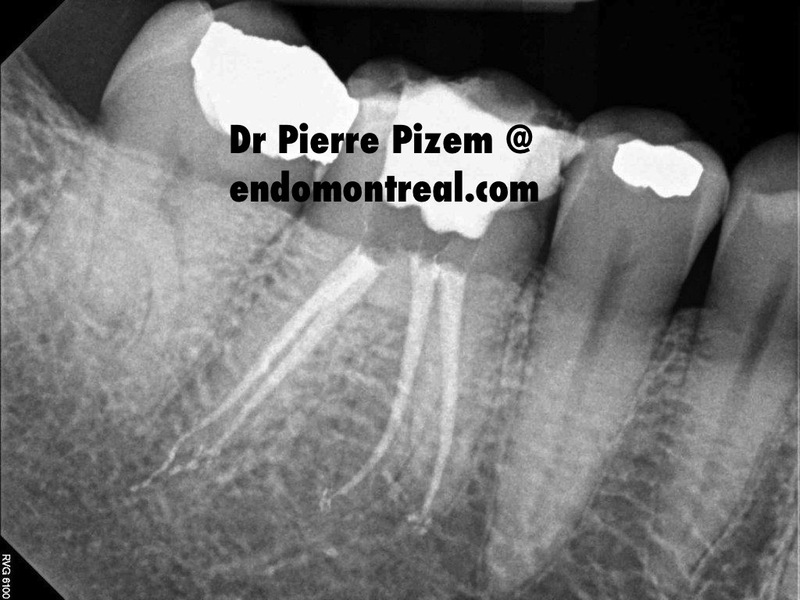 Symptomatic (and badly worn tooth), endodontic Re-treatment implied two silver points removal in mesial root, Re-treatment of distal root, calcium hydroxide dressing for one week and a gutta percha and Pulp Canal Sealer final obturation. Amalgam post and core build up will allow for a porcelain fused to metal crown preparation and cementation. 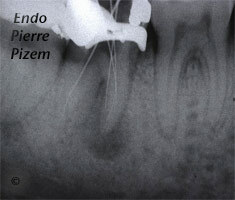 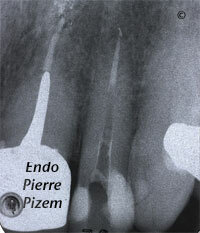 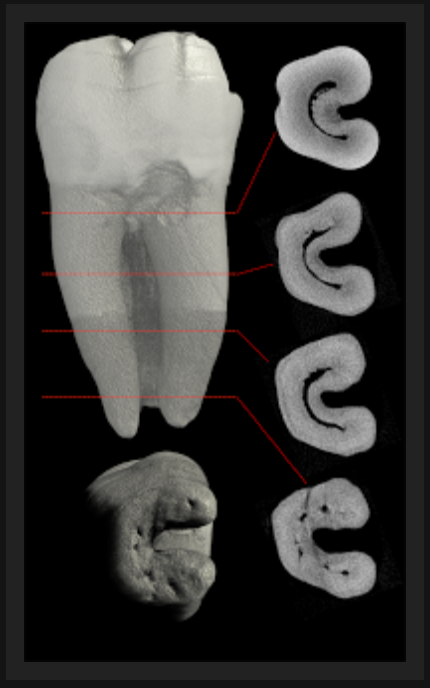 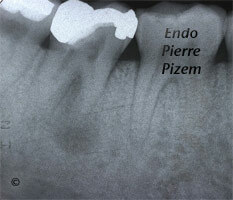 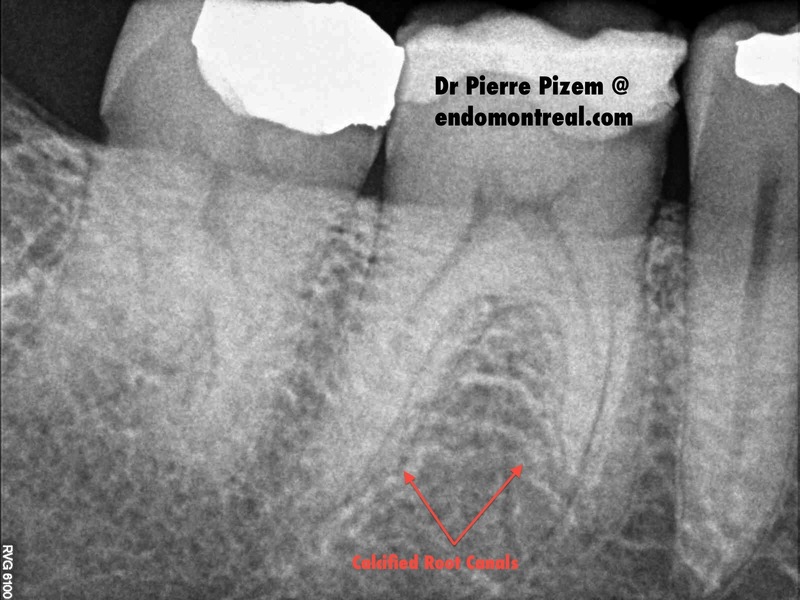 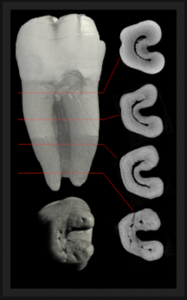 Preoperative X ray dental film shows a “furcation defect” encompassing the entire width of the tooth (no probing). 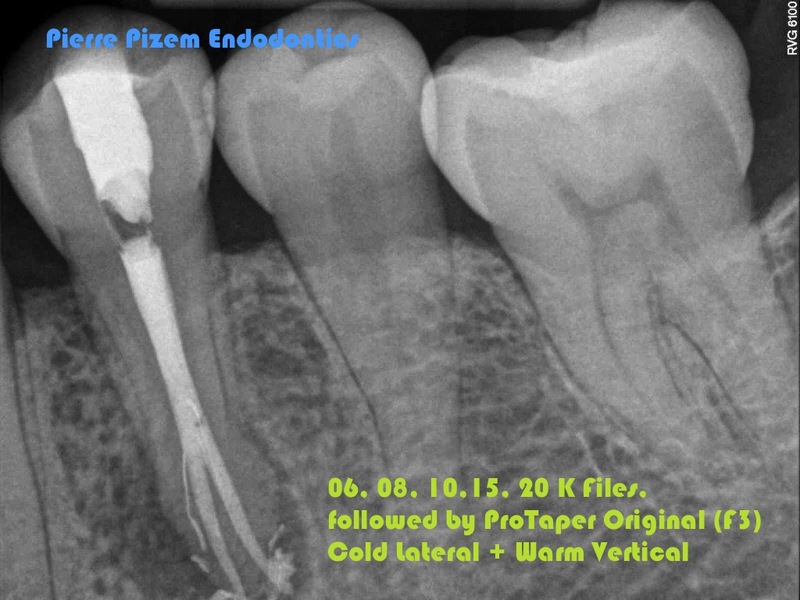 A root canal treatment implying a few Calcium Hydroxyde dressings (and being patient) helped this patient in saving what appeared to be a hopeless tooth. 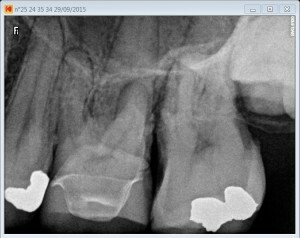 Last scan shows a seven years post operative control X ray dental film. 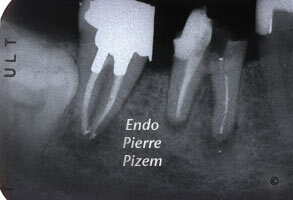 The four units fixed bridge has been cemented shortly after complete regeneration of periradicular tissues. 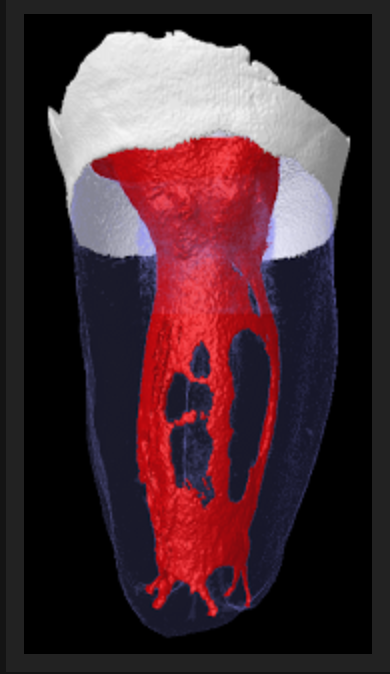 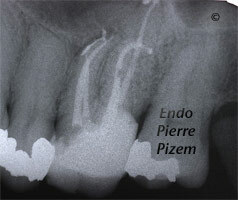 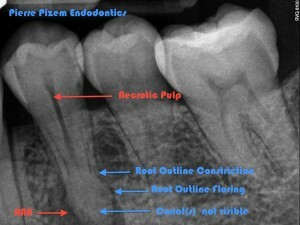 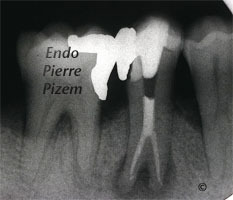 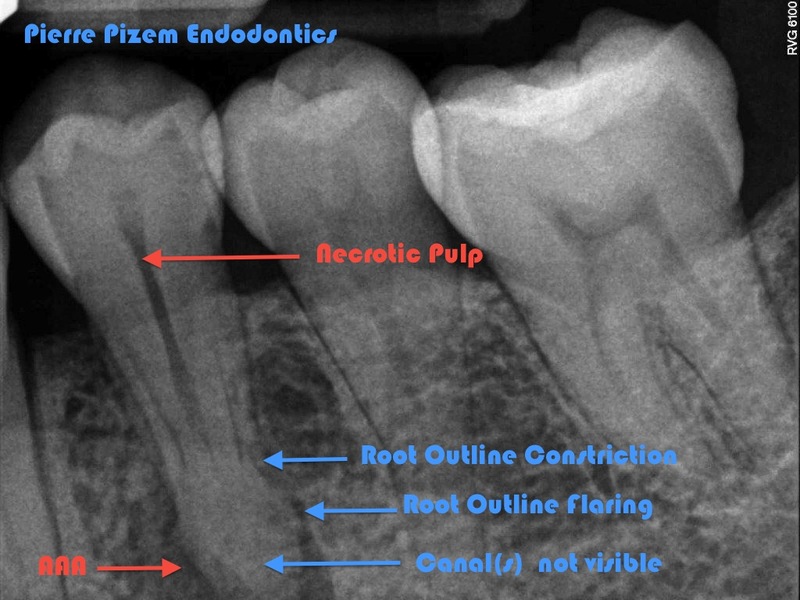 The anatomy of the root canal system directly affects the success of the root canal treatment. 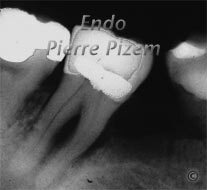 This postpresents a case report of a mandibular second molar with five canals and five different apical foramina. 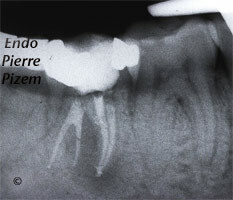 Theintraoral clinical examination revealed a tooth affected with deciduous restoration, and a sinus tract. 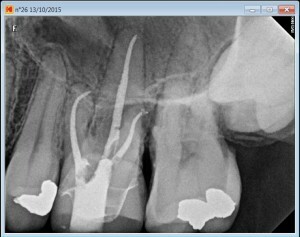 On radiographic examination, the distal root larger than average width did let us suspect the presence of four separate roots. 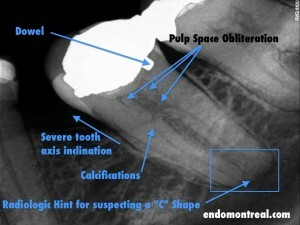 Other radiographic findings: Alveolar bone with circumscribed radiolucent apical lesion. 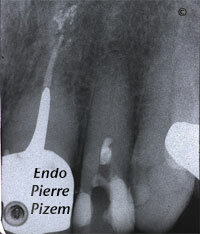 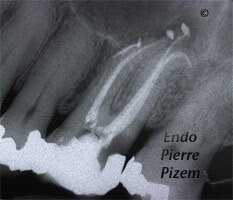 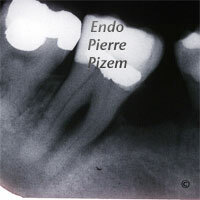 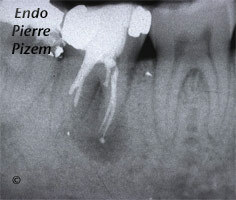 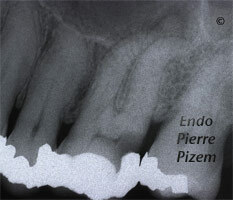 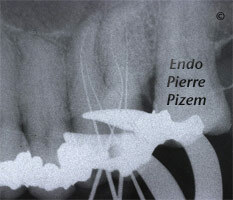 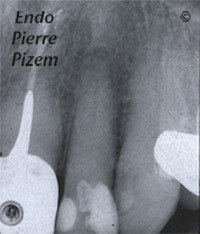 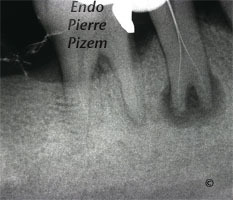 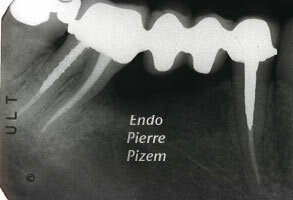 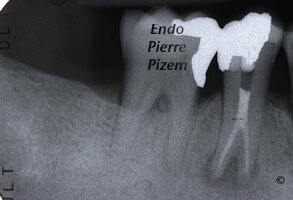 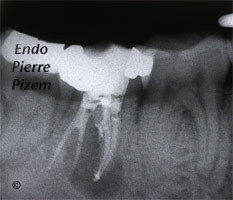 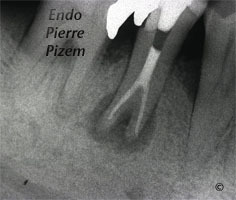 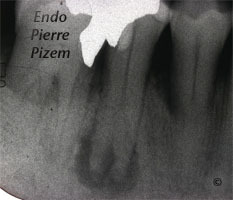 The diagnosis was a pulpal necrosis and a chronic suppurative periradicular periodontitis. 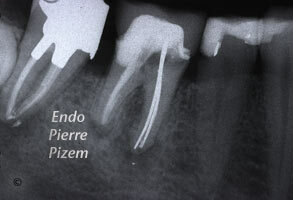 Etiology: marginal leakage, caries. 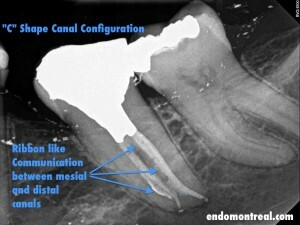 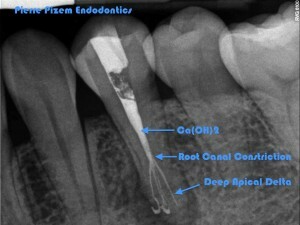 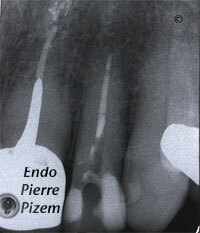 First appointment: gaining coronal-radicular access to the 5 canals, locating entries, shaping and cleaning apical root canal branches inserting intracanal medication for 8 days. 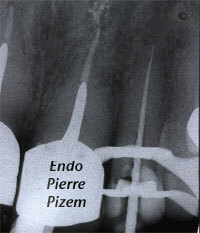 Third X ray image shows the fift short canal extending from pulp chamber to the interradicular space. 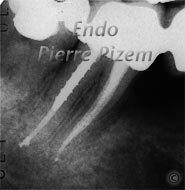 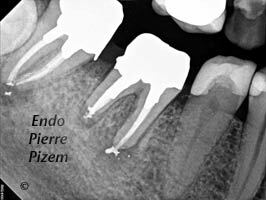 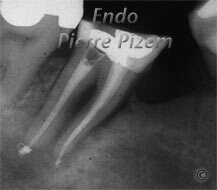 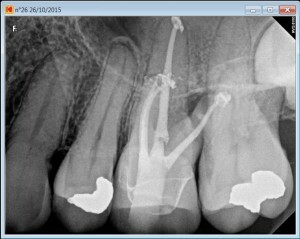 In that specific case, the endodontist microscope insured a better prognosis for this patient because it has been most helpful when striving to find the root canal split in distal root and because it prevented us from omitting the fifth root canal. Even when complete root canaltreatment has been carried out the patient still has to be periodically evaluated for prognosis.